Cheshire’s Science Corridor – the most internationally significant cluster of commercial science and technology assets North of Oxford – will be the focus of Cheshire and Warrington Local Enterprise Partnership’s opening event at the world’s premier investment conference today. The event, the first in a series of events and activity taking place at MIPIM (Marche International de Professonels d’Immobilier) in Cannes to promote the area’s investment opportunities, was supported by law firm Addleshaw Goddard, one of over 20 partners supporting Cheshire and Warrington’s delegation. It showcased the strengths and investment opportunities of the Science Corridor, which stretches from sites in Ellesmere Port and Thornton Science Park, part of the University of Chester and a rapidly developing centre for R&D in energy technologies, to Birchwood Park in Warrington where most of the UK’s nuclear engineering is done, to Alderley Park in Cheshire East, a major centre for life sciences. It also includes the internationally recognised Jodrell Bank and the newly launched Protos, Peel Environmental’s £170 million energy and innovation hub acdjacent to Thornton Science Park. 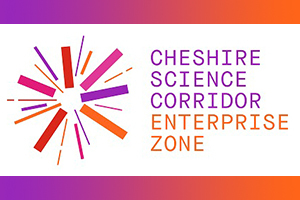 Following the launch of the Cheshire Science Corridor Enterprise Zone in April 2016 which covers a number of sites within the Science Corridor, the area is home to over 100 hectares of development and investment opportunities with the potential to attract over 20,000 job and 500 businesses. In under a year, the EZ has already created 330 new jobs, 20 new businesses and attracted over £1 million of private sector investment. Led by Cheshire and Warrington LEP Chief Executive Philip Cox, the event featured a panel discussion focussed on the significance of science and innovation in Cheshire and Warrington with representatives including: Thomas Renn, Manchester Science Partnerships, Victoria Martin, The Peel Group, Mike O’Connor, Addleshaw Goddard, John Adlen, Growth Director at Cheshire and Warrington LEP, and Henry Brooks, Managing Director of Tatton Estate Management. Philip Cox, Chief Executive of Cheshire and Warrington LEP, said: “Cheshire’s Science Corridor is home to world class assets, and our aim is to put the area on the map, which together with Liverpool Knowledge Quarter and the Oxford Road Corridor in Manchester could form a new Golden Triangle for North. 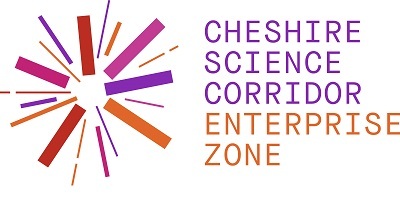 Henry Brooks, executive director of the Tatton Estate said: “The enterprise zone status recognises the fantastic range of existing employment assets the Cheshire Science Corridor offers. New supporting development will help the UK and the Northern Powerhouse capture inward investment, nurture our home grown, scientists of the next decade and take advantage of the incredible quality of life we can offer the science sectors.